When your group heads to Oberammergau for the famous Passion Play 2020, these tips will keep you prepared. Air travel: Munich is the closest major airport to Oberammergau. The 62-mile drive between the Munich Airport and Oberammergau takes about 1½ hours; by train it’s about 2½ hours, with transfer in Murnau. 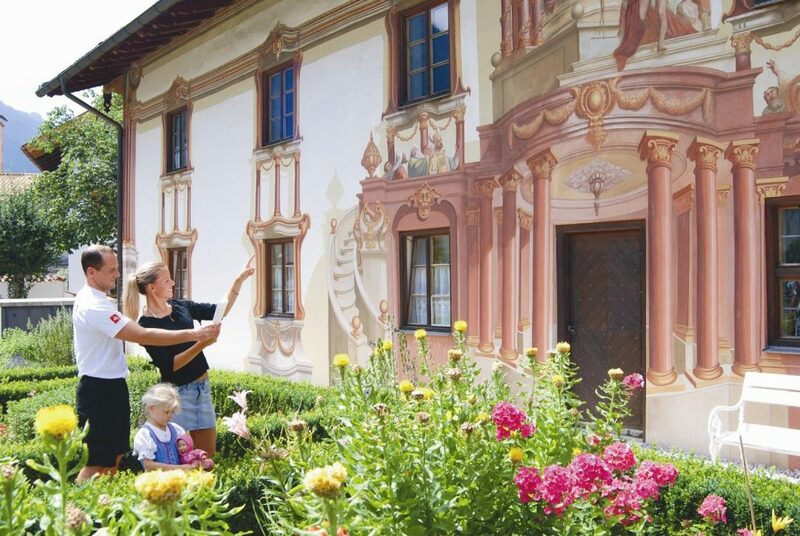 From Zurich Airport, the drive to Oberammergau is 3 hours and 15 minutes. With seven hours difference between the U.S. and Germany, expect your body to signal different eating and sleeping patterns for a while until it adjusts. On your return, you’ll likely also feel some jet lag for a few days. Public transportation: Germany’s trains, buses and trams are unusually prompt. If a train is scheduled to leave at 5 p.m., it’s best to be on the platform a few minutes early. Hotels: In 2020, hotels and bed-and-breakfast accommodations for Passion Play-goers will fill early, so it’s wise to book as soon as possible. In this part of Bavaria, smaller hotels, youth hostels and pensions are the norm, and they are spread out. A tour operator can arrange flights, land transportation and accommodations, plus meals, sightseeing and tickets to the Passion Play itself. In fact, it may be difficult to obtain Passion Play tickets and rooms if you aren’t part of a group. What to pack: Bring a variety of clothing that can be worn in dry or wet, and warm or cool weather. Oberammergau is located in the mountains; you can shed clothing or add layers as temperatures warm up or cool down during the day. A travel umbrella is always a good idea. Good walking shoes are a must—there are lots of cobblestone streets in Europe, and even large city sidewalks can be uneven. A money belt worn under clothing—containing cash, credit cards, passport and any important papers—is wise. Bring along several copies of your passport and put them in different places in your luggage and purse; you might even put a copy of it on your smartphone. Travelers from North America will need an electrical outlet adapter to use devices in Europe and a power converter to operate such appliances as a shaver or hair dryer. You can find these items online or in electronics stores; just be sure you purchase the correct ones for the countries to which you’re traveling. Money matters: Check with your bank to see if you can withdraw money from an ATM in Germany and the fees involved. Before arriving in Europe, you can exchange your dollars for euros at most airports and at some banks. Smaller businesses in Germany often do not accept credit cards, so having a supply of euros or access to euros at an ATM is a good idea. Also, call your credit card company prior to departure and let them know where you are going and how long you will be gone. Phone service: If you want to call or text friends or family back home, check with your phone company to learn if that’s possible with the package you currently have, or if you’ll need to add overseas capabilities. Language: You may want to brush up on some German words and phrases that will come in handy, such as “Men” and “Women” when needing a washroom. “Danke” means “thank you” in German, and “bitte” means “please”—two good words to learn. “Guten Tag” is “hello,” and “Guten Abend” is “good evening.” Since school-age children in Germany are required to learn English, most people 30 years old and under can speak some English, and many are quite capable of carrying on a conversation. Read up: To make sure you get the most out of your trip, purchase a guidebook on Germany before you leave and read up on its cities, history, culture, foods and events. If it’s lightweight, consider taking it with you. Most guidebooks have a list of common German words and phrases.